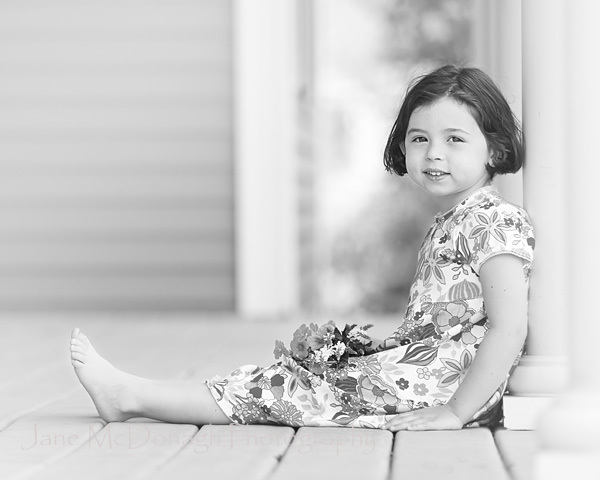 It is always a great pleasure and honor to be able to take portraits of my returning clients and to see how the children have grown over the intervening years. 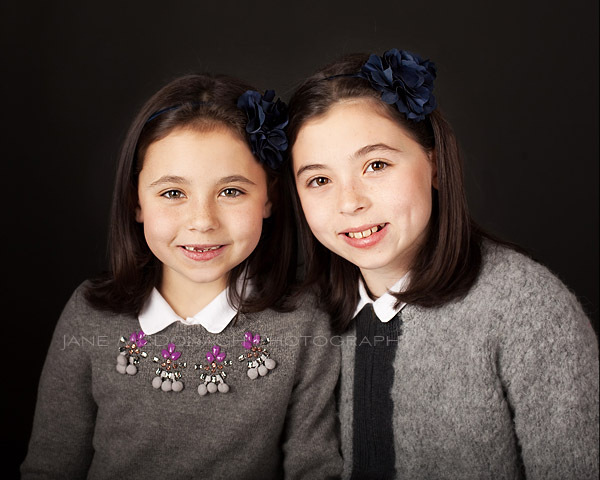 These two lovely girls are a case in point, I first photographed them back in 2008 and I delved into the archives of my blog to find their portraits from that session to see how much they’ve changed (see the last two photos below). 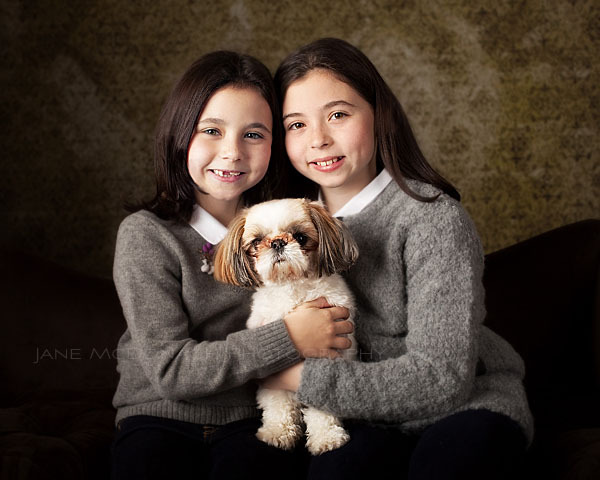 This time we did an indoor studio session and the family dog made an appearance too. 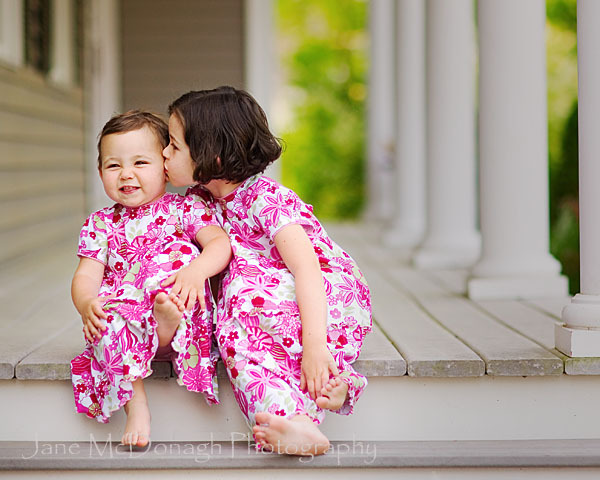 As much as they’ve grown one thing hadn’t changed – these sisters are still the most delightful subjects to photograph!